Not too long ago I got a Daily Candy SF (I still subscribe to be “in the know” of all things San Francisco) advertising a new website/company called Kitchit that acts as a search engine for chefs in the Bay Area that are for hire for private events. They also cater to Los Angeles and New York…hopefully Seattle in the near future:) Whether it’s a casual dinner or formal affair, there are chefs and budgets to fit any situation. The website makes it easy to check out each chefs profile and what they’re capable of not to mention you can read reviews from others that have used them. Pretty easy! My good friend Jen hired Chef Anne Olsen for her fiancé’s surprise 40th birthday party and the whole night was amazing!!! 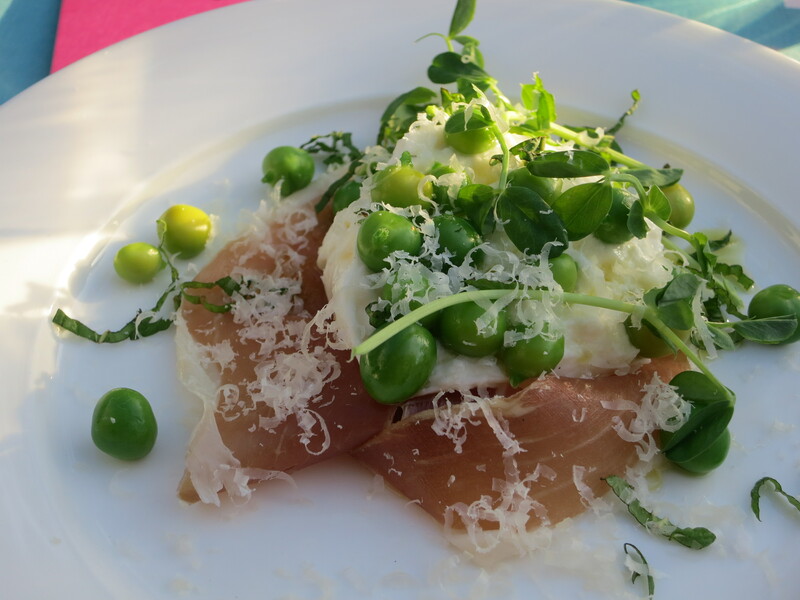 She started us with a gorgeous farmers market crudité platter and then followed it up with an unbelievable first course of burrata with favas, English peas and speck. 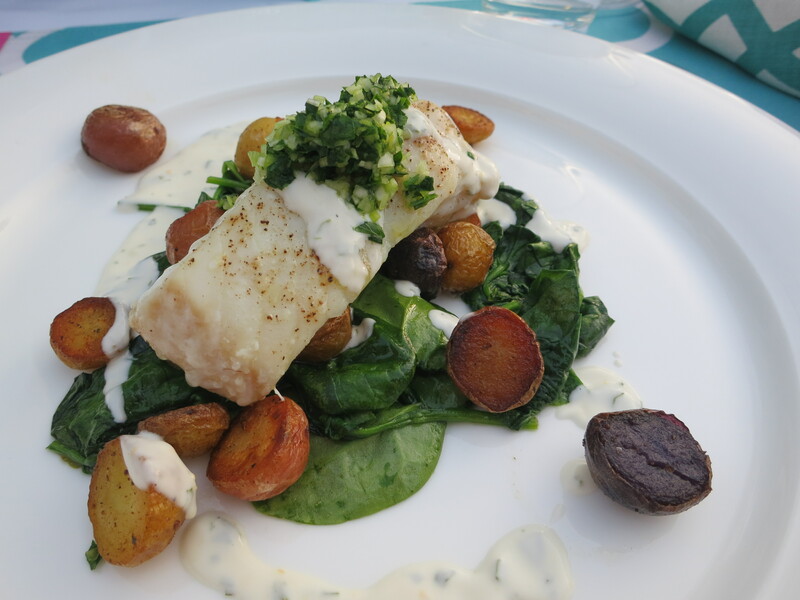 Next was oven roasted Halibut with Meyer lemon gremolata, pan fried baby potatoes, spring herbs and créme fraiche. For dessert…baked Alaska!!! All in all it was an outstanding night start to finish and I would recommend Chef Olsen and Kitchit to anyone! I’m not even exaggerating when I say this is one of my favorite salads. And I miss it everyday. 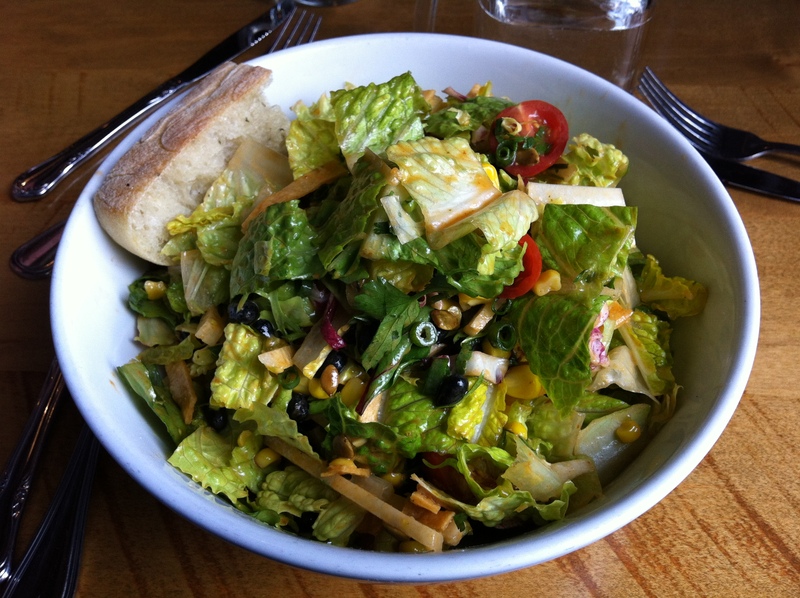 The Tostada Salad (minus the cheddar cheese) at Blue Barn on Chestnut in San Francisco is perfect. There’s tons of texture and the dressing is to die for…light, spicy…it perfectly compliments all the fresh ingredients in the bowl. 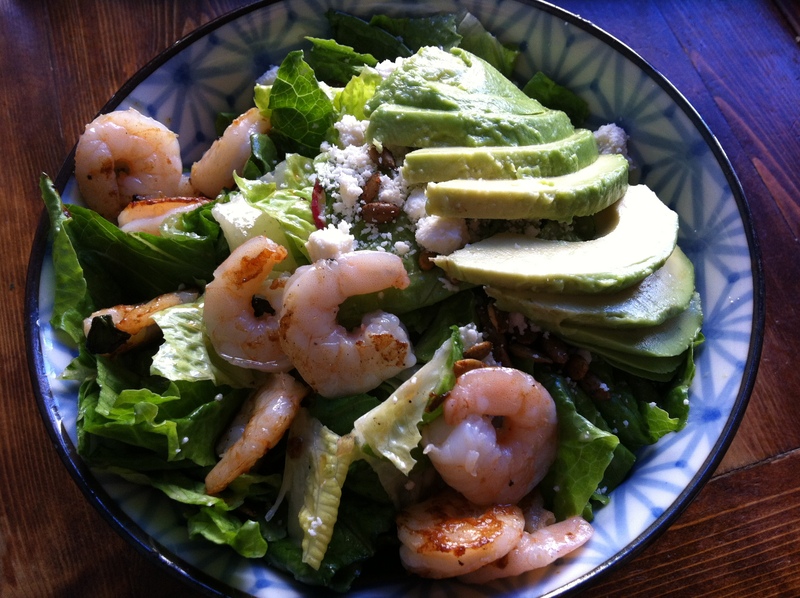 I always forget to add a protein (I’m too focused on the actual salad) but I’d love to try some grilled garlic shrimp or chopped chicken on it. The salads are huge so one option is to get it to go undressed, that way you can save half for leftovers. 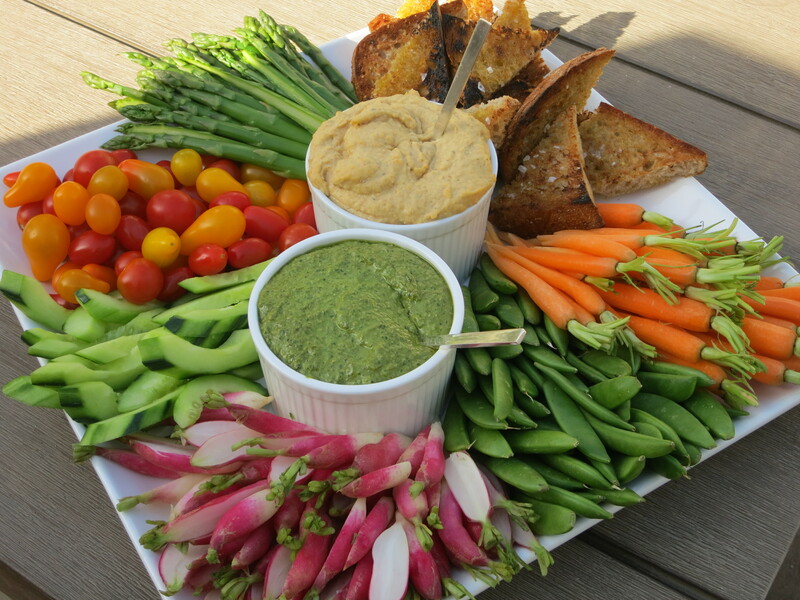 Once upon a time I used to order sandwiches – Turkey was my go to – but now I’m totally devoted to the salads. With 8 different types of grilled cheese sandwiches on the menu, you can’t go wrong:) Prices may seem a little high to some but it’s worth it! And you won’t leave hungry so that’s a plus. It seems like ever since I moved from SF that new restaurants have been popping up like crazy which makes it even harder for me to decide where to eat when I go back to visit. 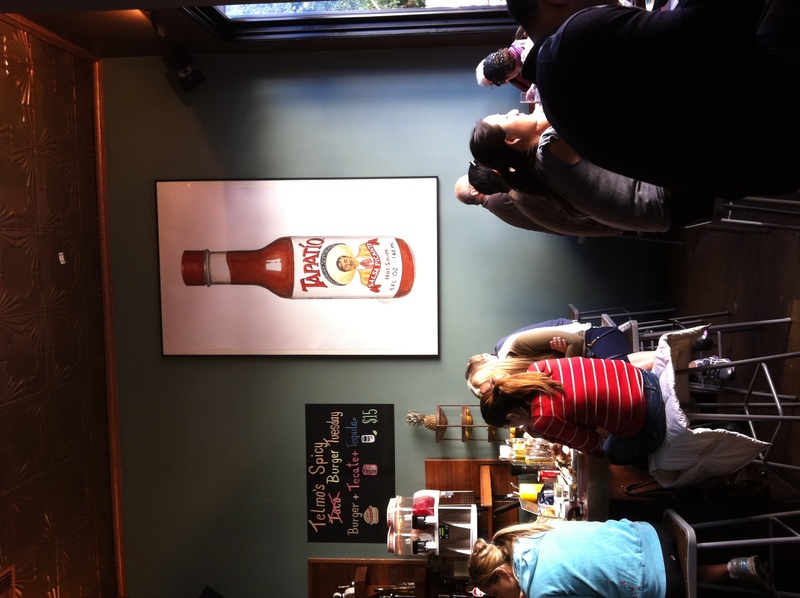 Tacolicious in the Marina is new to me and I finally got the chance to try it out. Located on Chestnut close to Fillmore it’s such a cute spot. Not huge inside but there are great windows facing the street that slide open on a nice day. All in all it’s a great location and the decor couldn’t be more perfect. I loved everything I tried! And if I were to go back I’d love to try the Aztec Chicken Soup, Shrimp a la Diabla, Rock Cod Taco, and the Traditional Churros with Mexican Hot Chocolate…um…yes please! I definitely have favorite breakfast spots in SF but this one is new to me and a place I would love to go back to…if not for breakfast, for lunch or dinner. Executive Chef Jen Biesty is a former Top Chef contestant as well as her pastry chef, Tim Nugent. 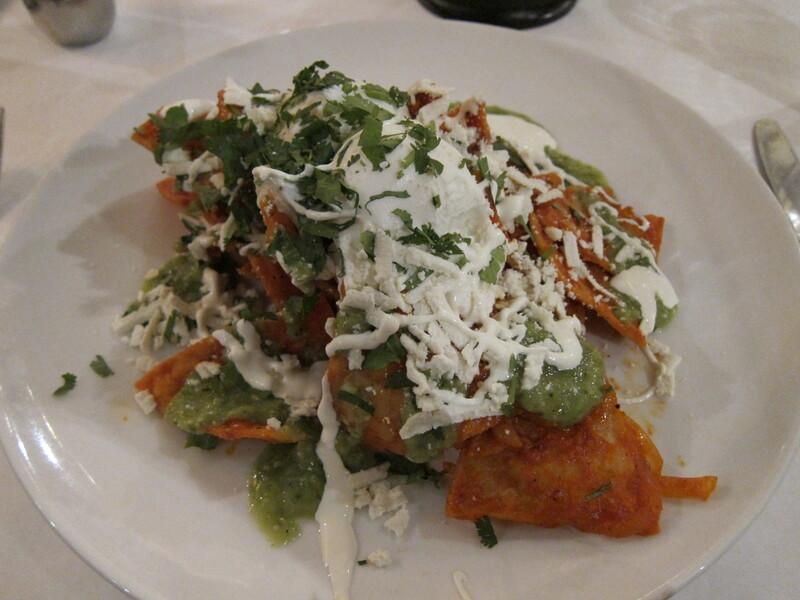 One of my favorite breakfast items is chilaquiles. 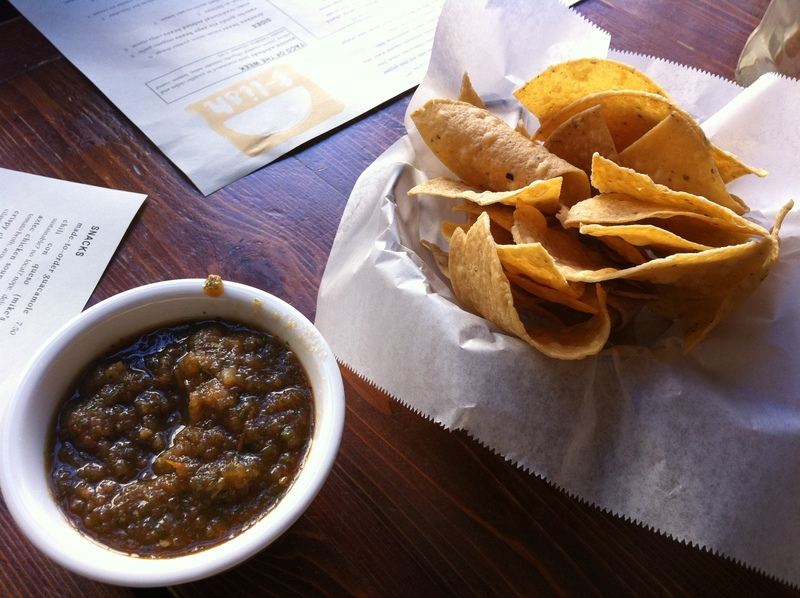 Tortilla chips smothered in tomatillo sauce, ranchero sauce and créme fraiche baked to perfection. This particular recipe has two poached eggs on top and was exactly what I was hoping for! Yummmm! 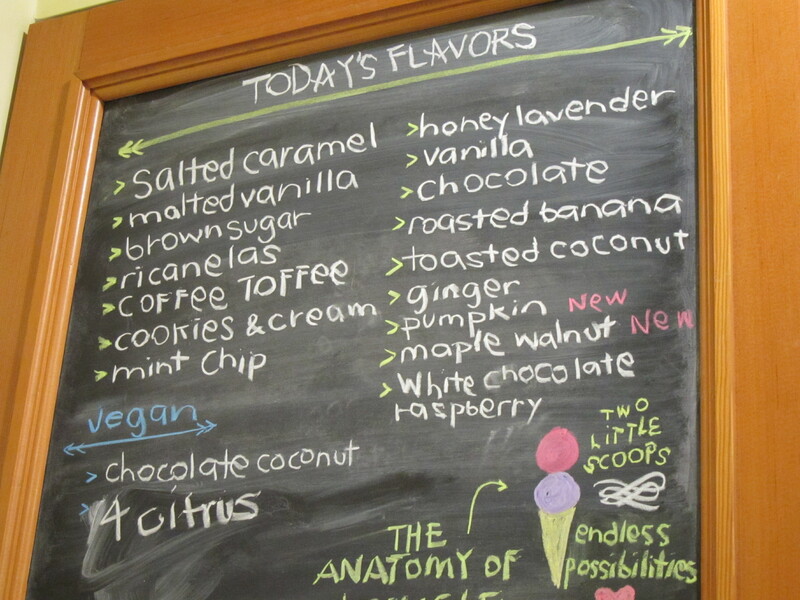 If you live in San Francisco then surely you’re aware of Bi-Rite Creamery. 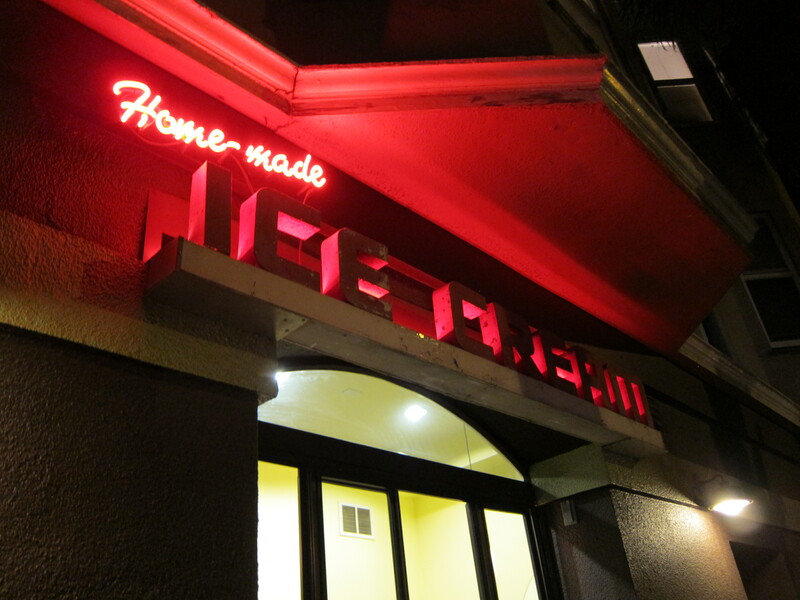 Located in the Mission it’s truly one of the best scoops of ice cream I’ve had in a long time. 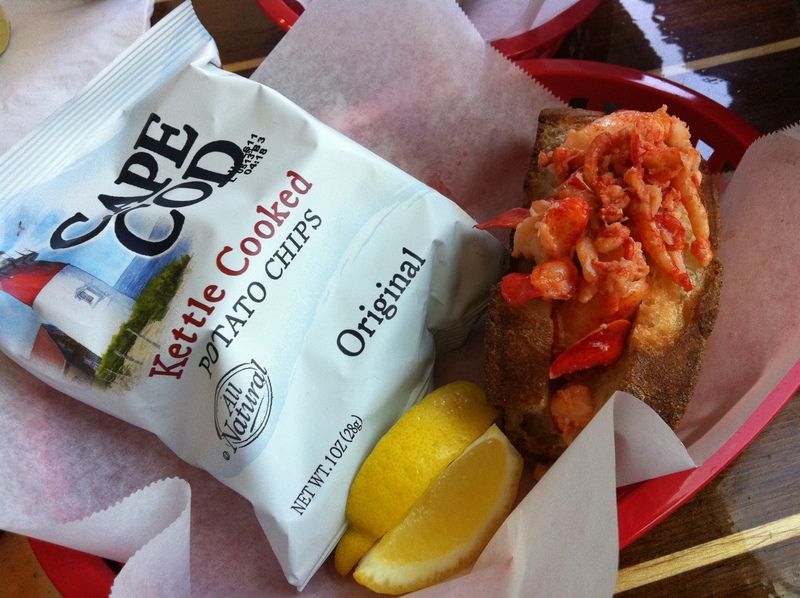 Everything is made in house using only the finest local ingredients. 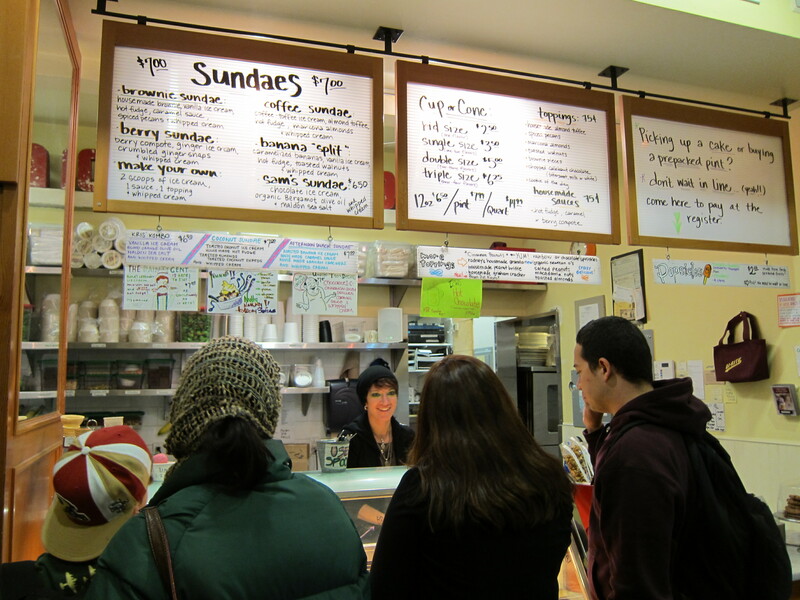 Even the marshmallows and peanut brittle that go into the ice cream are made fresh. Good thing I wasn’t hooked when I lived there for 6 years. 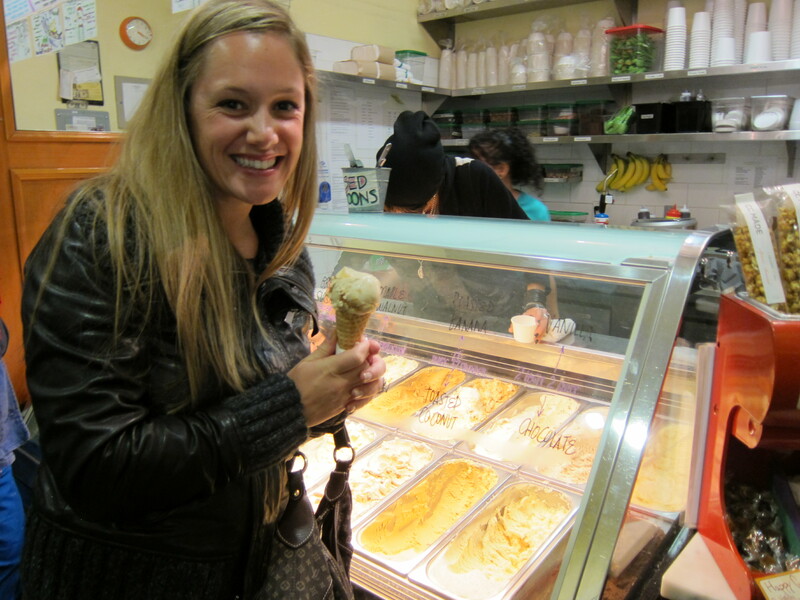 If you’re an ice cream lover then this is the place for you! 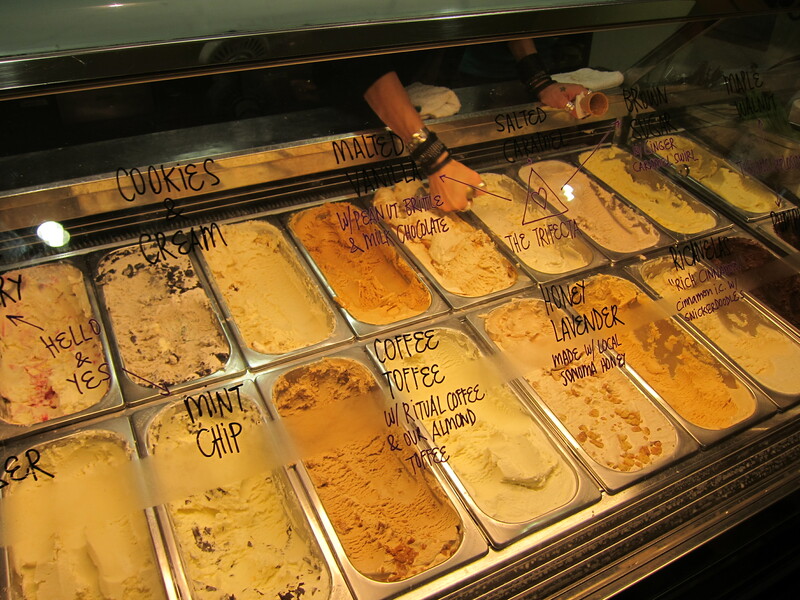 So many flavors to choose from They’re really nice about giving you samples I settled on Brown Sugar and Ginger Caramel Swirl…great choice! While on a quick trip to SF my husband and I took some time one afternoon to walk around the Marina, our old neighborhood, and stumbled upon Tacko. 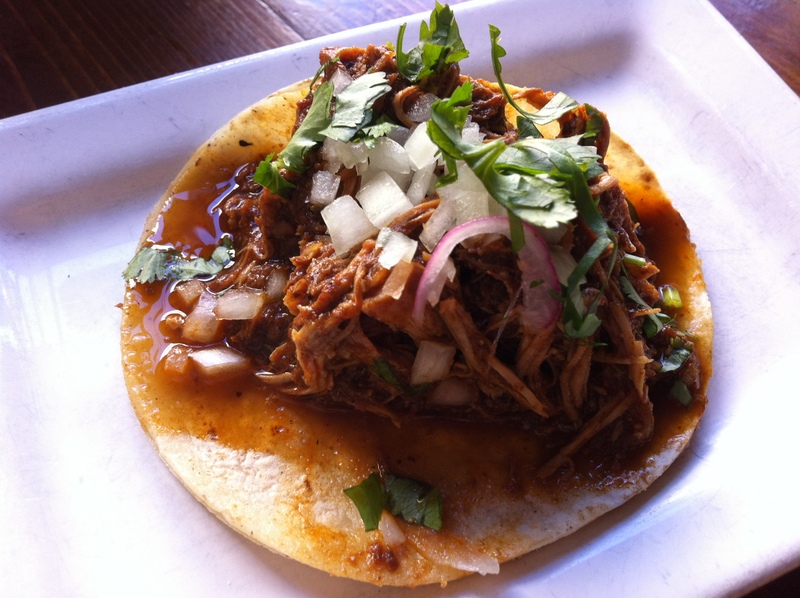 I immediately noticed that the menu mentioned “Nick’s Way” which for those who are familiar with SF know is from Nick’s Crispy Tacos up on Polk Street…an old favorite of ours. Long story short, it turns out “Nick” and his business partner split ways and this is Nick’s new place. It’s definitely a nicer environment for a food establishment. I think anything beats eating inside a nightclub during the day:) The food was excellent…so much so that we went two days in a row. On a nice day the front windows slide open and like any place in the Marina, there’s always great people watching. I recommend the Pollo Taco Nick’s Way and my husband would most definitely tell anyone to get the California Burrito (a burrito with french fries in it). As a past San Diego resident, this burrito is hard to come by outside of SD so he will eat any one he comes upon and this one passed the test. 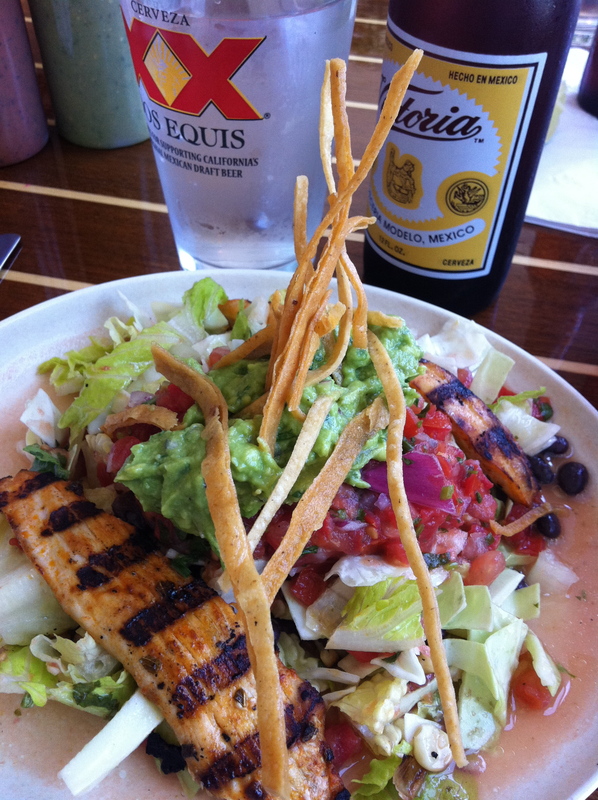 Grilled corn and black bean taco salad with chicken The lobster roll…a little pricey but very tasty! 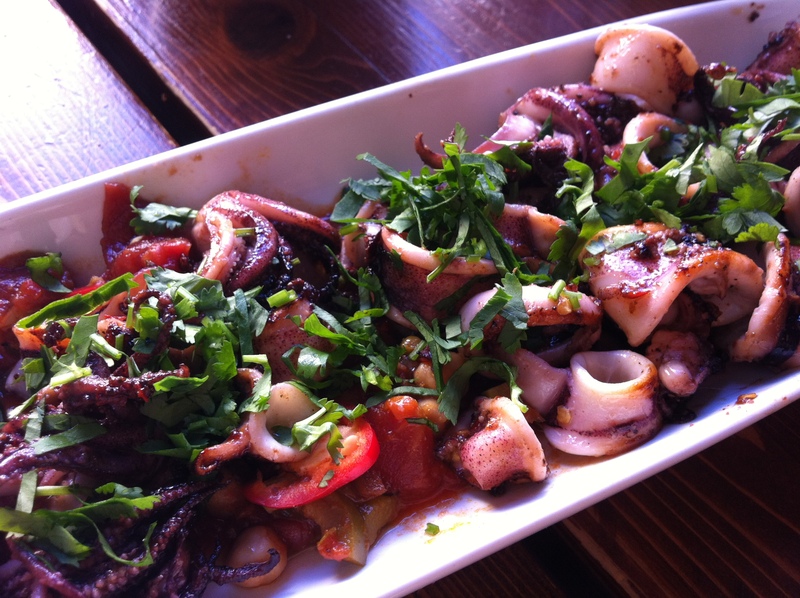 Earlier this year while my mom and I were visiting San Francisco we had dinner at Tyler Florence’s Wayfare Tavern. The atmosphere embraces exactly what I miss about SF, the lively energy not to mention a lot of really pretty people to stare at:) It was bustling on a week night and after eating there I know exactly why. The food was perfectly executed and delicious!!! Rather than just your standard bread and butter or oil, you’re treated to a warm freshly baked popover which I could have eaten a dozen of. 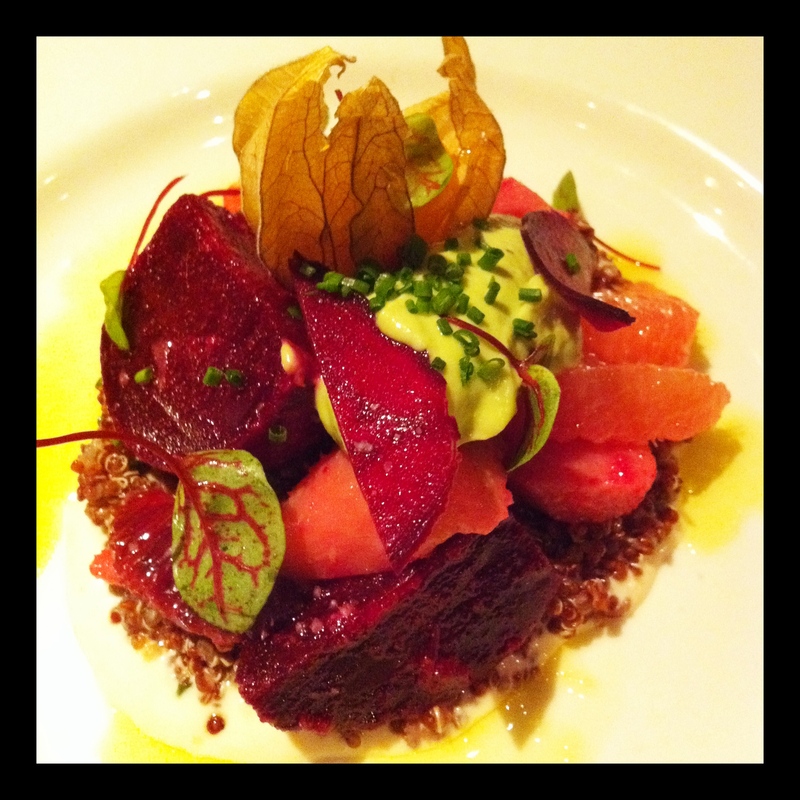 My favorite part of the meal was my starter, the Roasted Organic Beets served with winter citrus aioli, goose berries, avocado mousse and quinoa. YUM!!! If you live in SF or are going to visit this should definitely be a place you try at least once. Be sure to get reservations!